Brunnera 'Jack Frost' This is a beautiful plant introduced a few years ago for a shady not too dry spot. 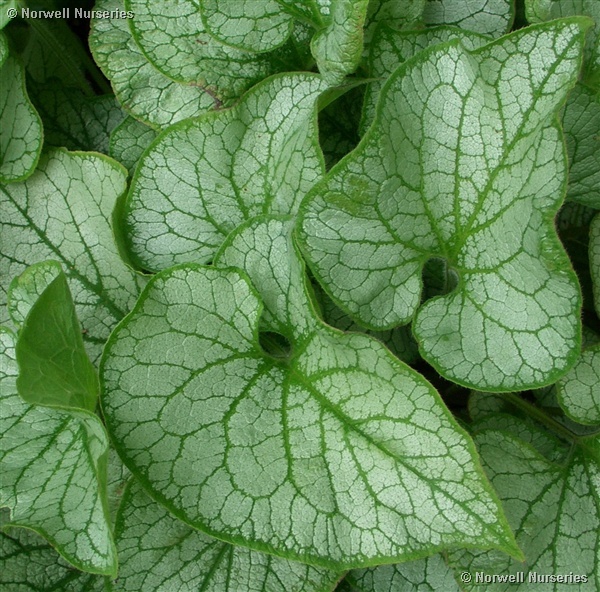 Sensational silvery leaves are surrounded with a green margin and contrast with the green veins. Copious sprays of blue forget-me-not flowers in spring.